For many early-stage entrepreneurs assigning a pre-money valuation to your startup is one of the more daunting tasks encountered during the fundraising quest. 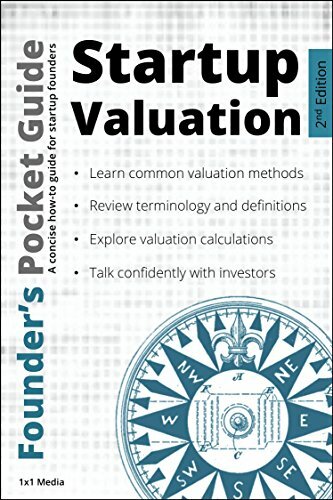 This guide provides a quick reference to all of the key topics around early-stage startup valuation and provides step-by-step examples for several valuation methods. What a startup valuation is and when you need to start worrying about it. 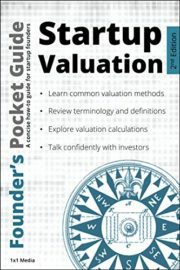 Key terms and definitions associated with valuation, such as pre-money, post-money, and dilution. How investors view the valuation task, and what their expectations are for early-stage companies. How the valuation fits with your target raise amount and resulting founder equity ownership. How to do the simple math for calculating valuation percentages. How to estimate your company valuation using several accepted methods. What accounting valuation methods are and why they are not well suited for early-stage startups.